After a hard-fought series, it all came down to one game. The Jazz had won three and the Clippers had won three. But to move on to the next round, someone had to win four. 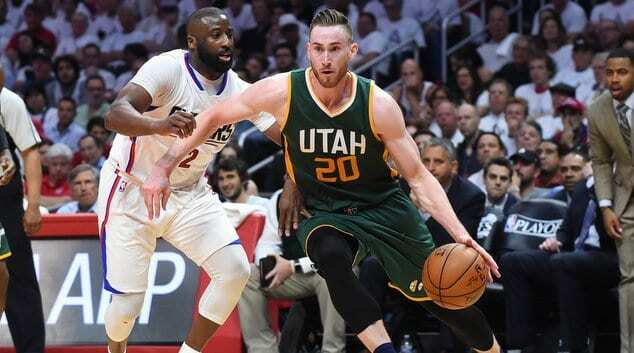 Could the young Jazz take down the veteran Clippers and win their first playoff series since 2010? Utah played a much better game than the Clippers in the first half but was unable to do more than take a seven-point lead into halftime. They did so largely without the services of Rudy Gobert who only played about five minutes due to foul trouble. He ended up fouling out after clocking just 14 minutes of game time. As luck would have it, they didn’t miss him too much. Whatever worked in the second quarter continued in the third, and by time the final quarter rolled around the Jazz were up by 16 points, 79-63. The Clippers got within eight points late in the fourth quarter but couldn’t get any closer. A Gordon Hayward layup closed out the scoring for the game to make the final score 104-91. Without Blake Griffin playing, the Clippers needed Chris Paul to pull off some late-game magic. But after tweaking his ankle in the third and with the defense Utah was playing against him, he managed just three assists in the final quarter. Paul finished the game with 13 points and nine assists, his lowest numbers of the series. DeAndre Jordan recorded his seventh double-double of the series with 24 points and 17 rebounds. While the future is uncertain for the Clippers going forward, it is certain for one player. 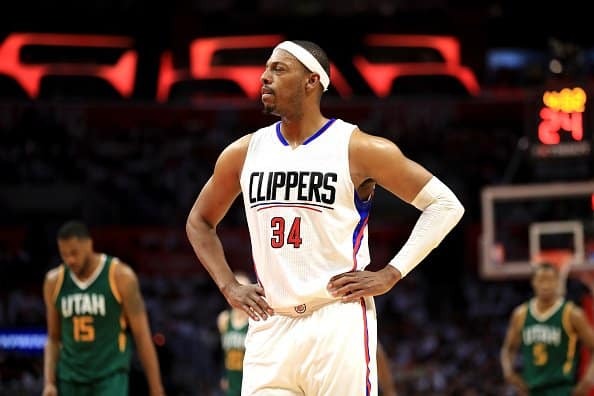 The loss marks the end of Paul Pierce’s 19-year career. Back in October, he announced that he would be signing a one-day contract with the Celtics to make it official. “I think I owe the fans and I owe myself that much, just to be able to put that uniform on one more time and go out that way, say I retired a Boston Celtic,” Pierce told ESPN. Gordon Hayward led the way for the Jazz with 26 points and eight rebounds on the night followed by Derrick Favors and George Hill with 17 points each. Four other players scored in double figures. They are going to have their hands full winning another series this year. By beating the Clippers, they have earned the right to face off against the mighty Golden State Warriors in the Western Conference Semifinals. Utah gave the Warriors a decent fight the first time they met in early December (106-99) but were destroyed a few weeks later (104-74). But the Jazz did win once (105-99) late in the season when the Warriors gave Klay Thompson a night off. Can the Jazz pull off the upset of the millennium? No one expects them to, but if they bring their “A” game the entire series, they could keep it interesting. Who knows…if the Warriors have a few off nights from the floor…miracles happen all the time!